Haris Khan – Born To Laugh, Born To Serve, Or Both? 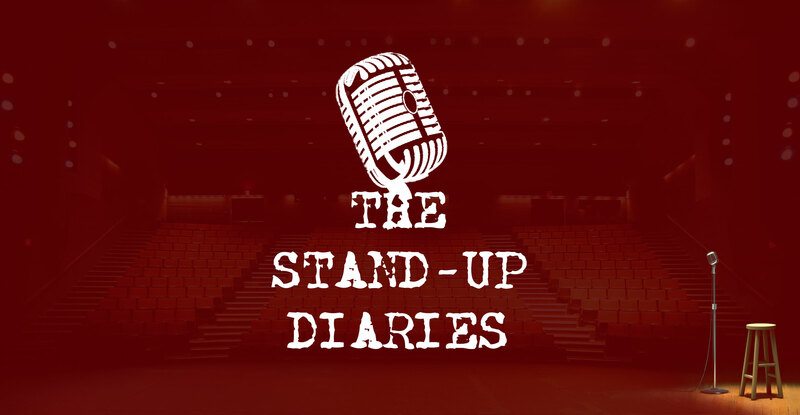 In the history of The Stand-Up Diaries this blog has reached over 50 countries worldwide in almost two years. But today, for the first time, I dedicate an entire blog posting to a rising comedy star in Saskatchewan, and one of the most genuinely sincere comics you will come across. I first met Haris at my debut into the comedy scene at a comedy competition here in Saskatoon. Even though he is based out of Regina, I have watched from afar as he has put together an impressive comedic resume that no comic in their first two years can presently match. He has performed internationally and throughout Canada, and will be making his debut at Casino Regina in the near future. Aside from the fact Haris is East Indian and a comedian living in Saskatchewan, what is it that makes Haris popular? All you have to do is spend five minutes with him to get the answer. I have met my share of comedians in the two years I’ve been involved in comedy. Some are great at making you laugh on stage but have very lousy people skills and zero personality off stage. They get offended when someone makes fun of them and believe the hype about themselves. Praise God for Haris Khan being at the extreme opposite end of that scale. Not only can Haris make people laugh with his unique brand of humour, but he also has the ability to relate to people of colour, regardless of race, social status or income level. Last year Haris and his team started the Stand-Up For Charity shows. The first one was “Stand-Up For Homelessness”. Ironically enough, guess who he asked to perform at this event? That’s right, he asked me as I was homeless at the time, living at the Salvation Army. Although I was homeless, I didn’t have a car so I was unable to make it to Regina. Nevertheless, the initial seed was planted and now through the fund raisers for Alberta Flood Victims, Regina SPCA, Homelessness, Domestic Violence & Cancer (forgive me if I missed any), over $10,000 has been raised for these programs in and around his community. Haris graciously invited me to the Stand-Up For Cancer show that happened this past Sunday at the U of R campus in Regina. It was a first-class event with beauty pageant queens, politicians and members of the academic and medical community in attendance. In addition to the silent auction, they had a local DJ who did an amazing job playing music for the diverse audience (in terms of age and race) that was there. First the show opened with a local musical act, followed by belly dancers, and to top it all off, Korean dancers doing “Gangham Style”. They all did an amazing job. Then came time for the show to start and Haris was the host for the comedy portion of the evening. Several of Regina’s finest comedians graced the stage, as the night ended with a headlining performance from Marcus Ryan from Australia. It’s one of the best headlining performances I’ve seen as he killed it for a good hour. It’s great to see that he was able to make such a diverse audience laugh especially when he doesn’t have to scoop the bottom of the barrel and become vulgar or highly offensive. What makes Haris unique, in my opinion is that for each cause he has built the stand-up for charity shows around, he appears to be very passionate about each cause that he and his team undertakes. Haris has a management team that is ethnically diverse and highly effective. He genuinely loves all people, regardless of their social stature or race. Haris is also a galvanizing force as he has become a fixture in the Regina media scene, always on camera to promote his latest charity show. He’s secured sponsorship from the Regina business community as well. For somebody to do all that, and do it well, I believe that one truly must possess a servant’s heart. If you are a phony and you are doing this to pump up your tires at the expense of everyone else doing the heavy lifting for you, not only will you be found out, but you will lose credibility and the respect of your peers. Everyone that comes into contact with Haris is treated with genuine compassion, sincerity and honesty. I am very proud, honoured and beyond blessed to call Haris a friend. If you ever are in Regina, I recommend you check out one of his charity shows. The next one is in February/2014. God bless Haris Khan, and may you all be blessed!